Courtesy of ARK at JFK. JFK is going to the dogs... and horses, and penguins, and even sloths. 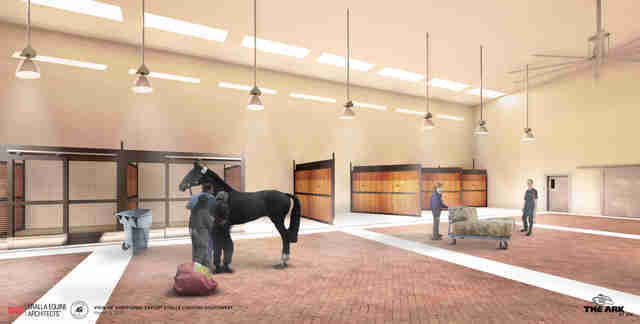 Specifically, the NYC airport will soon be home to the ARK at JFK, a 178,000sqft luxury terminal for jet-setting creatures -- billed as the world's first comprehensive animal terminal when it opens next year. Meanwhile, mere humans will continue to be herded through security lines as usual, and of course, through the wilderness of third-world LaGuardia. Named after Noah's biblical animal rescue boat -- but not to be confused with Arusha Airport in Tanzania -- the $48 million terminal will include numerous facilities designed to accommodate and care for over 70,000 animals of all kinds every year, and will basically make our crowded human gate areas feel even more like the zoo. The ARK will feature climate-controlled stalls for horses and cows, special mating spaces for penguins, and even trees for cats to climb, according to a report by the AP. This sounds like a joke, but it's not. 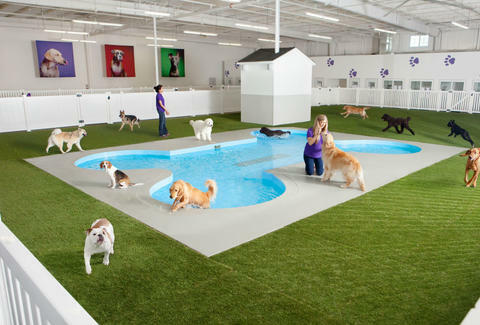 Oh, and rich peoples' dogs will be able to enjoy their very own 20,000sqft luxury resort full of amenities like $100/night hotel suites with flatscreen TVs, bone-shaped pools, and massage therapy. Said rich people will be able to monitor their furry companions via webcam, according to the report, which notes the terminal is not aimed at low-income animal owners. Thanks for making that clear. Tony Merevick is Cities News Editor at Thrillist and was once in a different sort of animal terminal when a rat ran past his foot at LaGuardia. Send news tips to news@thrillist.com and follow him on Twitter @tonymerevick.